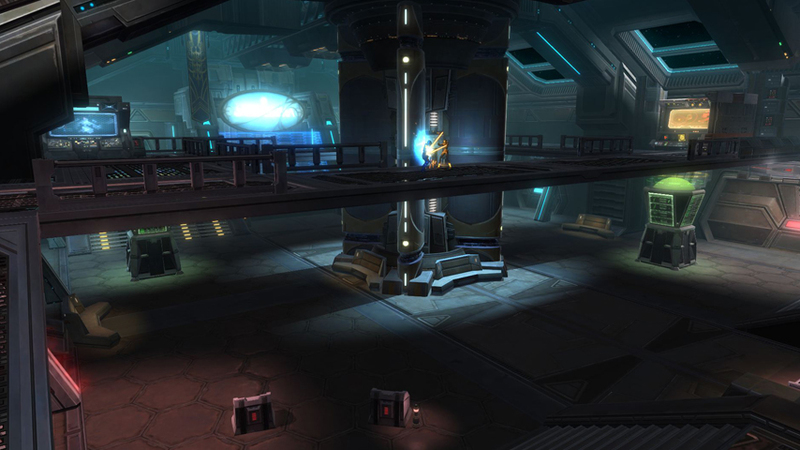 PvPers in SWTOR are finally going to get some real love from the devs at BioWare in the form of Game Update 2.4. 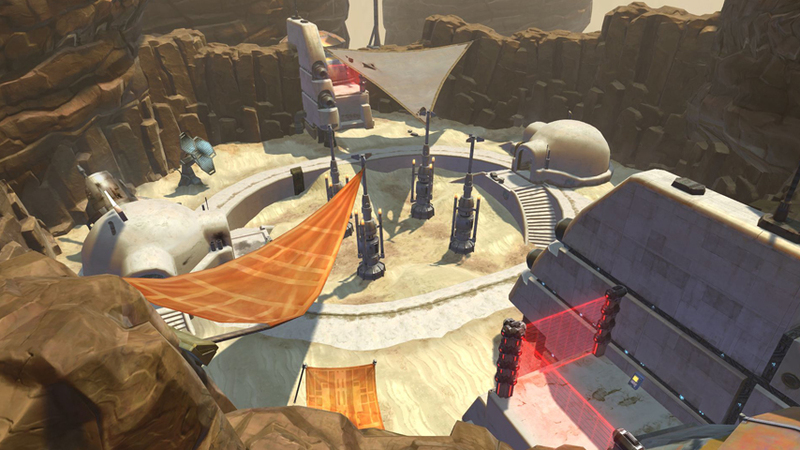 For the first time since launch, the next patch for Star Wars: The Old Republic will be primarily focused on PvP content. So what can you expect from 2.4? Let’s take a look. The most exciting and anticipated content in 2.4 would have to be the new Warzone Arenas. Currently, all the Warzones in SWTOR are objective based team combat. As a team you must complete a series of tasks in order to win. However in the upcoming Arenas, your only goal is to eliminate the other team. It is Team Death Match at its finest. And since Arenas are small maps designed for 4v4 PvP, you will be able to do your killing in a much more intimate setting. Each Arena match will consist of three rounds, win the most rounds and your team win the match. All ability cool-down will be reset at the beginning of a round, so no need to save that long cool-down ability for those late round clutch moments. Look for Arenas on Corellia, Tatooine and an Orbital Station when 2.4 hits. For the first time you, as a solo player, will have the ability to queue for Ranked Warzones. The new solo queue system will match you with other players of similar rating and for the first time take your role into account. This means if you are a tank, then there will be a tank of similar skill ranking on the other team. So no more four healers against four damage dealers matches. The new matching making will only apply to solo queues and will have no effect on group ranked queues. Along with these changes, you will no longer be able to re-spec while in queue or while inside a Warzone. Lets be completely honest, while the original idea of 8v8 Ranked Warzones was awesome, the fact that these had to be completely pre-made teams, made the execution of the idea far from desirable. This combined with 8v8 never being supported very well, ahem pre-season for over a year, has led BioWare to remove 8v8 Ranked from SWTOR for the foreseeable future. While the return of 8v8 Ranked is always possible, don’t put to much stock into the idea until some of the underlying problems are fixed and server population gets much more healthier. On the topic of pre-season for ranked PvP, the plan is to allow a small period of time for you to get familiar with the new arenas before Season 1 is officially rolled out. If you want an early start or to help out with the testing of these new Arenas and 2.4 in general, then keep a sharp eye towards the Public Test Server stating August 16.